The Employment Academy is a state of the art training and advice centre in Southwark. It is set up to offer skills training and support services for long term workless people with the intention of helping them back into sustainable employment. 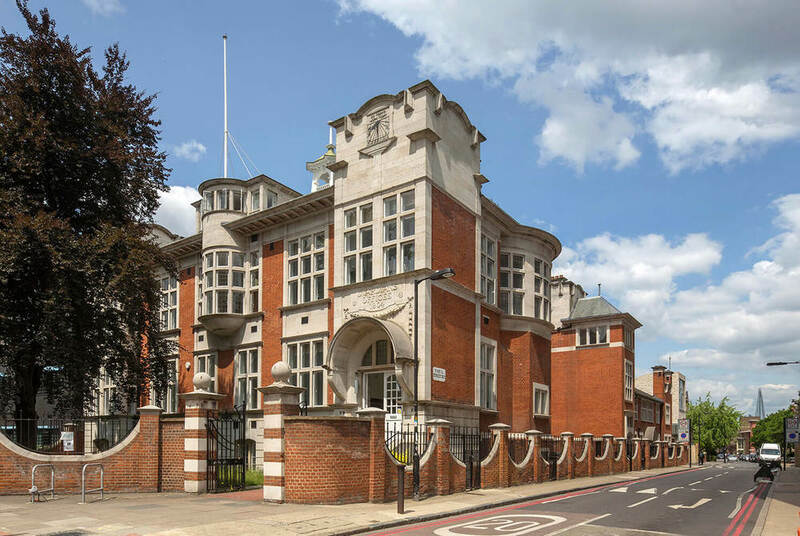 In 2009 PBA were approached by the charity Thames Reach to make a proposal for the refurbishment and substantial extension of ET Hall’s magnificent late Arts & Craft Poor Law Guardian’s building in Camberwell, South East London. Barber’s scheme is laid out around a delightful courtyard formed on two sides by a new L shaped training wing. Administration offices and a community café within the existing building form the remaining sides of the courtyard. The courtyard is conceived as the social heart of the project. New buildings are constructed in a rustic brick in a manner which might be called picturesque. Thick walls facing the courtyard incorporate a dramatic inset terrace, window seats and a south facing domed exedra. Existing facades are handled as a complex patchwork of new and reclaimed brick, of new windows cut in and old ones bricked up. ET Hall's treatment of the eastern wing of his building is pretty quirky, all turrets and mini towers… so Barber’s scheme adds one extra in the form of a tasty little tower with an extraordinary brick vaulted roof.